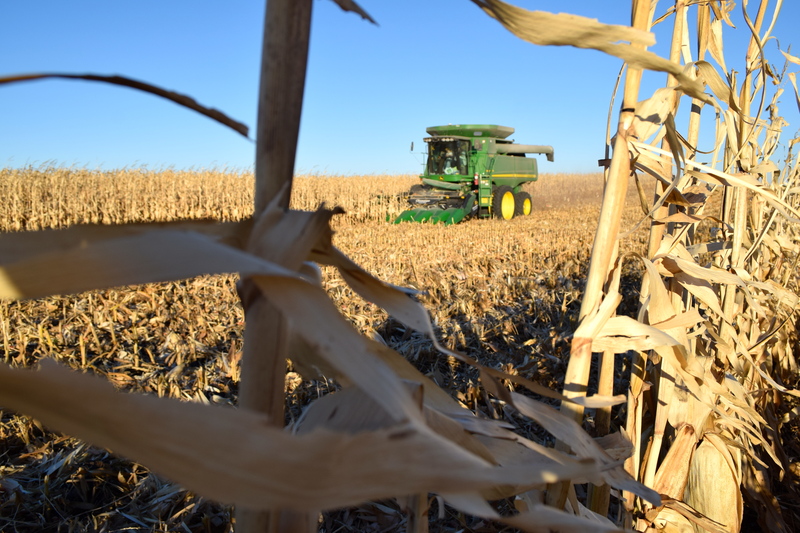 Agriculture has always been South Dakota’s number one industry, but now the state has begun to receive added national recognition with the U.S. Department of Agriculture noting the Mount Rushmore State as an agricultural powerhouse in a blog last week. And it’s hard to argue with them. As detailed by the USDA, South Dakota farmers and ranchers produced $10 billion worth of ag products in 2012, a 55% increase since 2007. Stats that set the state apart from others include the fact the number of farms in South Dakota grew from 2007-2012, the average farm size got smaller and the average farmer age remained the same at 55 years old. It should also be pointed out that South Dakota agriculture continues to become more and more diverse and that more than 700 farms are producing their own renewable energy. So what makes South Dakota an agricultural powerhouse? The state either leads or is among the top 10 leading states in 36 USDA categories that include crops, land, livestock and infrastructure. 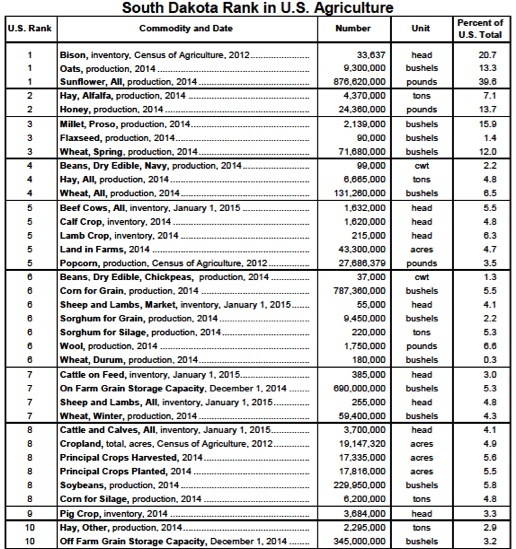 See the graphic below with stats released just a few days ago by the USDA National Agricultural Statistics Service. This entry was posted in News and tagged agriculture, census, farm, NASS, South Dakota, USDA.